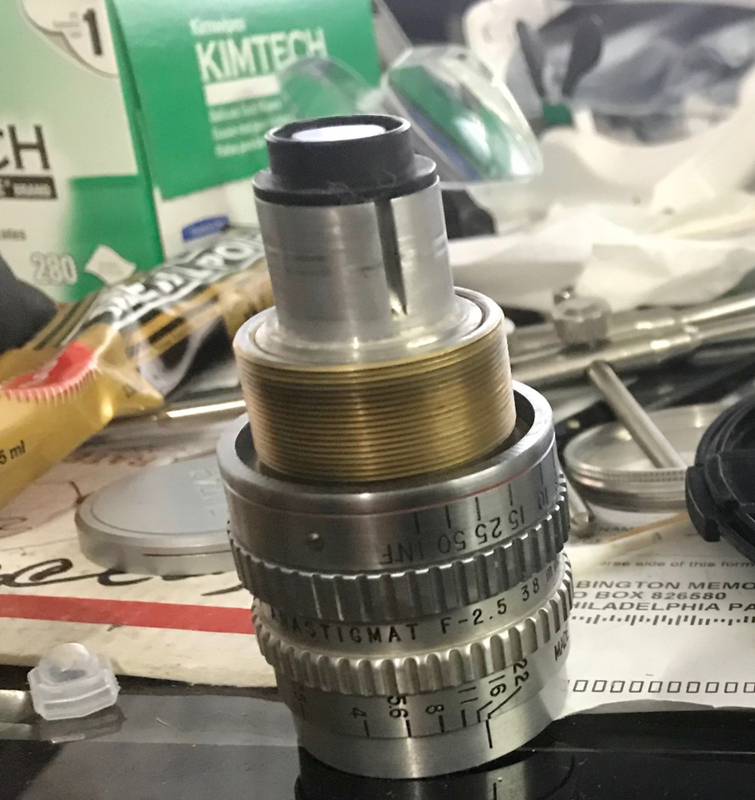 I have been looking everywhere and have found absolutely NOTHING on how to tear and and repair/lubricate old C and S mount cine lenses by Kodak and Schneider. These lenses aren't worth the cost of sending out, but are too expensive to toss. I'd love to learn how to work on them. If anyone has videos, manuals, advice or links to help, I'd be VERY grateful. 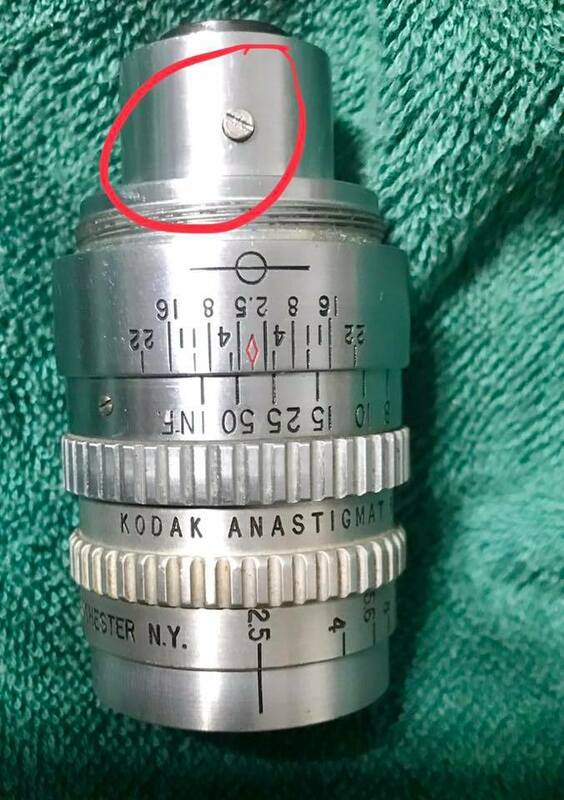 Those types of lenses are not too difficult to relubricate, although there is always the need to be careful to mark exactly where the multi-start helical threads screw together and how far they are screwed in to preserve the focus calibration. Usually there are 2 or 3 threaded rings that screw into each other with a keyway that prevents the inner optical unit from rotating as it telescopes. A stop screw often needs to be removed to fully unscew the rings. That screw that locks the focus seems like it might be overlong or something, not a design feature I suspect. You may need to carefully disassemble one yourself and risk making it unuseable to get an idea of how those types of lenses work. Hard to describe it properly. Feel free to post photos and ask questions here. So the screw acts as a key in the channel, stopping the lens from rotating as it telescopes. If the screw is too long or wide, it will jam in the channel instead of sliding. Usually those key screws have a cylindrical end where they slide in a channel, and the thread up near the head. Its possible someone replaced it with the wrong screw.